This weekend should you be mooching around the shops, why not pop into particpating Boots stores and pick up a fab Bumble + bumble deal. 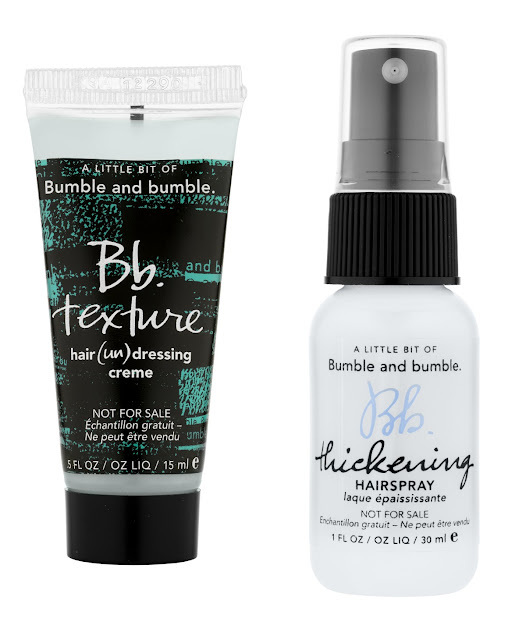 From the 18th of this month, until the 3rd February, Bumble and bumble will be giving you the chance to pick up some free samples when you shop. If you buy one or more of the Bumble and bumble products, you'll get two free (yes free!) deluxe samples. The samples that will join your full sized products on your bathroom shelf are a choice of the Thickening Hairspray, Texture, and the Straight Blow-dry Balm. 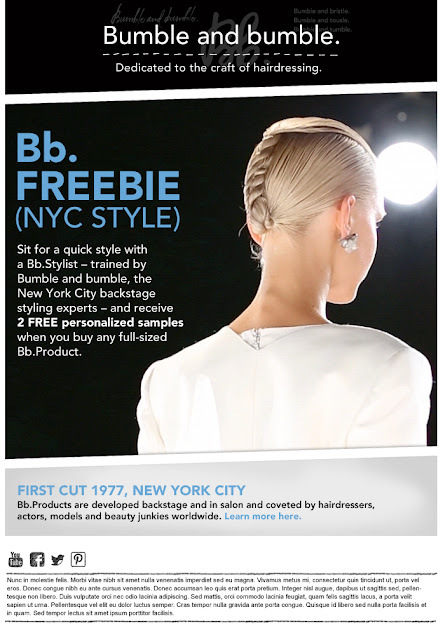 Each Bumble and bumble counter has a qualified stylist, so it's worth popping along to find out how you can get the most from the range, and pick up some advice on styling your hair. Boots nearest us is Watford that does the offer, according to Boots website.